A charming, feel-good love-story/musical whose unbridled optimism about love, life and the future is as infectious as the original songs are catchy. John Carney has written and directed another musical love story. Where Once was original, raw and full of passion, and Begin Again was polished, sleek and Hollywood, Sing Street presented the young and innocence of puppy love, full of optimism, hope and dreams. Regardless of what Carney thought of Keira Knightley, she has screen charms and a magnetic waifish attraction that helped to push the illusions of the fairy tale that was Begin Again. 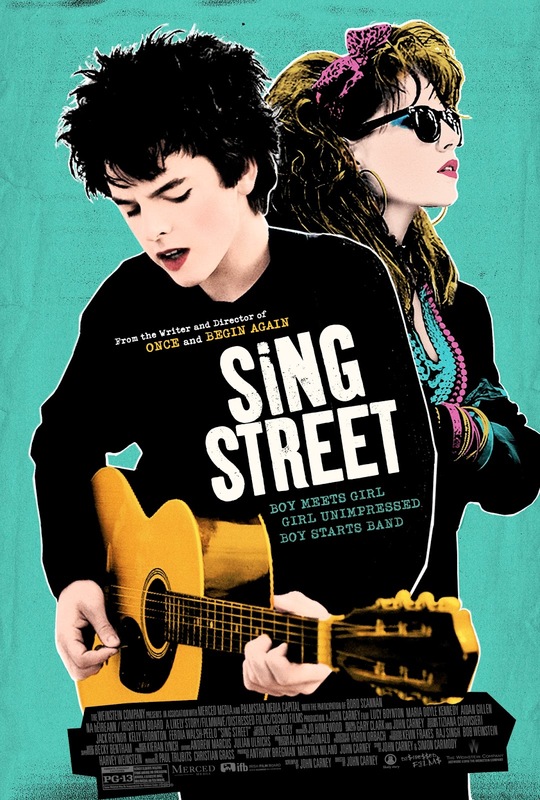 But here in Sing Street, Carney's decision to cast unknowns - Ferdia Walsh-Peelo and Lucy Boynton - as the leads did not lead to the sparks and palpable chemistry that Glen Hansard and Marketa Irglova had in Once. As such, the focus of the story fell on the idea of the plot rather than its execution. What would you do to win the girl (or boy, if we are being politically correct)? The film definitely succeeds as a feel good rom-com, but beyond the catchy original songs, and the euphoric nostalgia of 80s pop (Ah-Ha! Duran Duran! The Cure! Hall & Oates! Spandau Ballet!) there weren't much other substance in it. Although, at this day and age, who do not just want some happy optimism in their life? And there, Carney hit the mark. But of course, it would have been better if we could have explored more of the romance, or the family situation, or even the bandmates who, though are each uniquely displayed, seemed like nothing more than props. One of the best scene in the whole film was a quiet moment where the indelible Maria Doyle Kennedy was sitting in the sun, enjoying some wine and her papers, and her two children talking about her behind her back. That moment felt so authentic and sincere. Kudos to Jack Reynor for the delivery. And that last scene absolutely ruined it. It should have ended about 2 minutes earlier with the quiet refrains of Adam Levin singing us into credits. But as Knightley said in Begin Again, and I paraphrase, Levin (or his character, some would argue) can't help but make every song into a stadium anthem. Carney is so guilty of overdoing it here in the end. My eyes just rolled back. Sing Street was a movie equivalent of a sugar rush. It felt good but ultimately will still leave you empty and hungry.